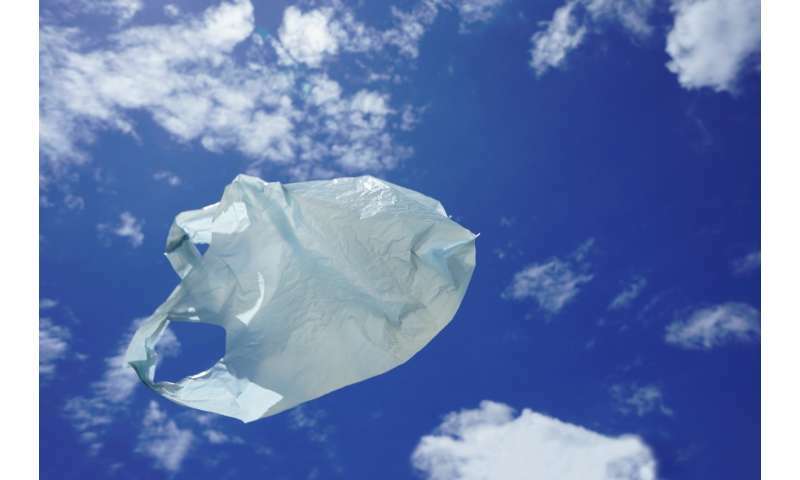 Recently, European scientists argued that existing international industry standards are insufficient and cannot realistically predict the biodegradability of compostable plastics. 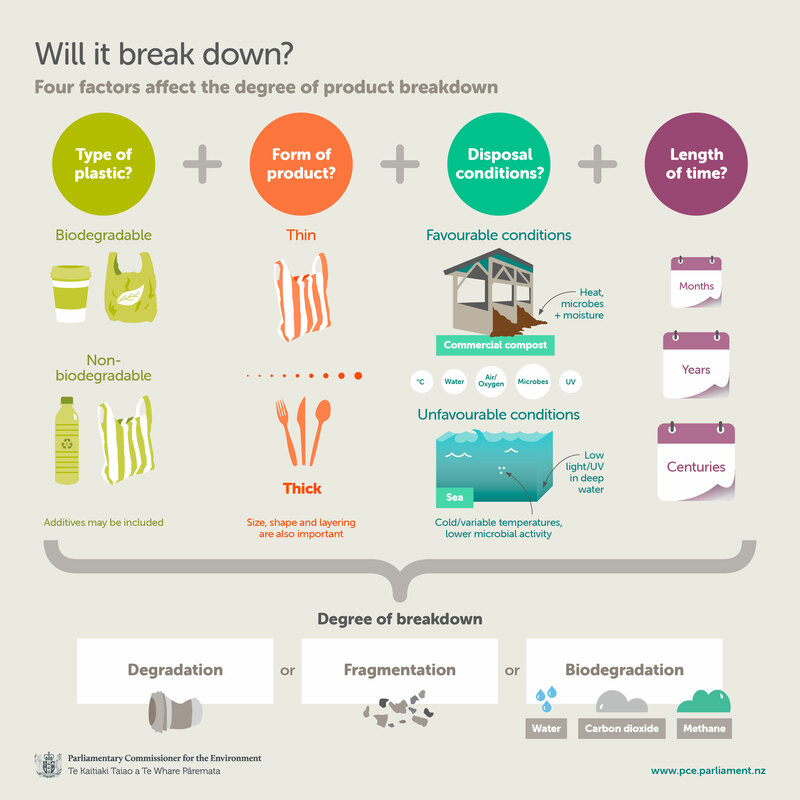 New Zealand's Parliamentary Commissioner for the Environment (PCE), Simon Upton, weighed into the debate, questioning the merit of biodegradable plastics and urging the New Zealand government to deal with the confusion surrounding their labelling. We know that plastics hang around in the environment for a very long time. Recent surveys show significant support among New Zealanders for initiatives to reduce single-use plastics. Considering the New Zealand government's intention to transition to a low-carbon economy and zero waste initiatives, the best answer to the problem is avoidance. Under the premise of convenience, we got used to a bag for everything, a plastic sleeve for a single slice of cheese or teabag, and a single-use plastic bottle for water. The production of all these containers contributes to carbon emissions as well as the later disposal. Many degradable plastics include additives, designed to make the product less durable. At the moment, the various additives and fillers are leading to contamination of waste streams. Expensive sorting or subsequent landfill might be the only alternative. Adequate recycling or re-manufacturing facilities would need to be created in New Zealand. Consumer action and demand is a good start, with more and more of us changing our behaviour, leading by example, and asking industry to do likewise. A robust debate led by independent scientist should inform the public and authorities. Experiences like the ban of CFCs in the 1990s and New Zealand's ban of microbeads are revealing to be ultimately successful. But they require regulatory intervention. A material should be assessed fully in all relevant environments and then appropriately labelled. 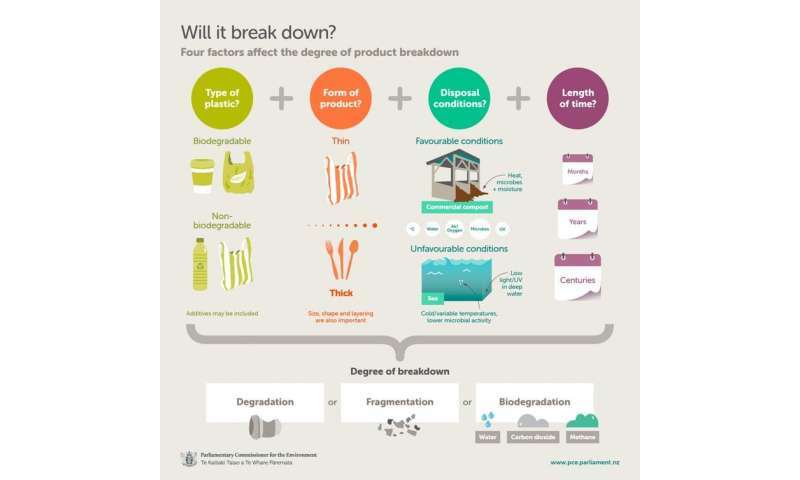 The New Zealand government should work with industry towards product stewardship, where the whole product life cycle is taken into account in the design phase. This will bring us closer to a circular economy, in which we reuse and recycle far more products.